When you think American sports car, you probably think of a Corvette. Chevrolet’s sports car has held this spot since they put a V8 up front in the 50’s. Since the early years, the Chevy Corvette has provided one of the best horsepower for the money propositions. Beyond the available power, for much of its production the Corvette was just cool. Young people dreamed of the day that they could afford the American sports car. But somewhere along the way this started to change. The Chevrolet Corvette became a car that mainly people who are older than 40 desire. Now being almost 40 myself, I rather like it. But most people under that age range, would rather drive other cars. This is a shame and the latest C7 Corvette is quite a machine. The C7 did bring some of the coolness back, but Chevrolet has a lot of work ahead of them to make it as desirable as it once was. The C8 is rumored to make the move to a mid-engine layout which could add some interest, but it may not be enough. This video shows a Corvette from when it was still the dream of most younger drivers and talks about how Chevrolet needs to find a way to make it more cool. 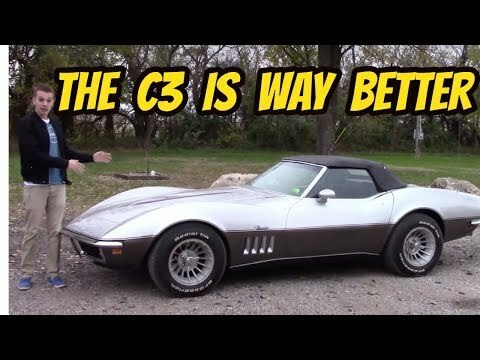 Check out the video and then scroll down to the comments and let us know what you think GM needs to change to make the Corvette desirable for a younger crowd again. Make it light, simple, good-looking, and affordable. BTW – I prefer the C2 to the C3 – had ‘em both. Always good to hear input from someone that has actually owned a car. Thanks for letting us know your thoughts.